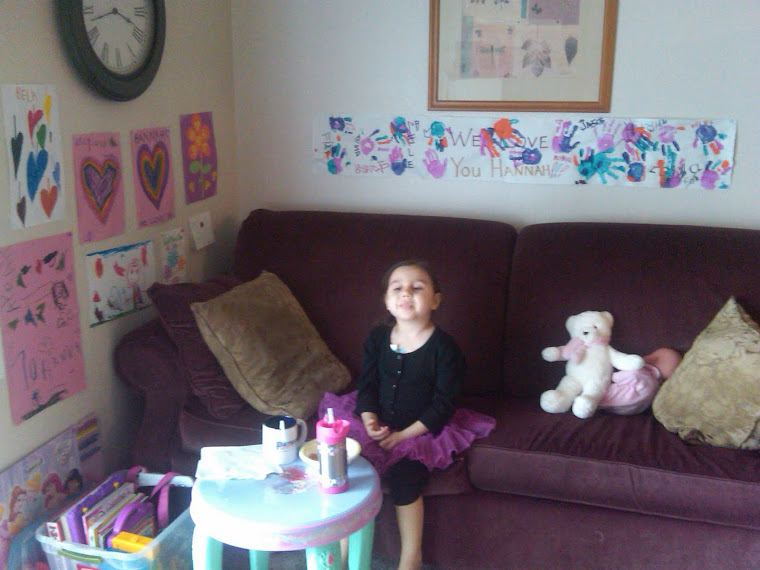 One four year old girl's journey through Leukemia. 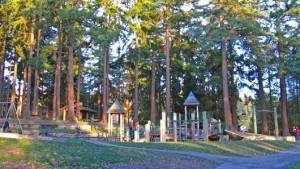 This Sunday the 19th at Lincoln Park in West Seattle. We are having a BIG party to celebrate Hannah being cancer free! Everyone who wants to be there is invited. I have the spot reserved from 10am till 10 pm (not sure we will be there that late) but, come on by! There will be food, fun, a magician, and tons of other stuff. The party is at the playground area near the Vashon Ferry. *I have a map in PDF that I would like to attach. Anyone know how to attach that to a blog post? So, is the Cancer Gone? That is the phone call I had yesterday with Hannah's doctor. 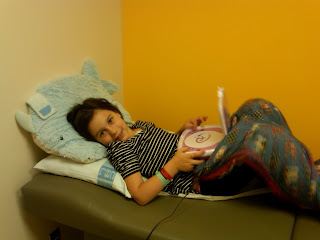 Hannah had her June chemo on Friday the 1st. It was chemo in her spinal column. She also, had a BMA, which is a test to check her whole body for cancer. I wasn't expecting the news until Wednesday. Her Dr. said when they saw the tests come back in yesterday afternoon, they knew they had to call. I was sitting in my office when I saw Children's Hospital come up on my phone. My heart hit my stomach. This was it. Early results usually mean bad news. I was bracing myself and trying to say hello at the same time. Her Dr. started the conversation with, "The tests are back. I have good news!" I'm not that sure what all I said, I just know it wasn't the screaming and jumping I thought I would do. I was crying. I hung up and Barb, my co-worker walked by. I told her I got the results. I couldn't speak or stop crying. She thought it was bad news! All I could think was "She did it! Two and half years of hard fighting and she won." I shared the news as much as I could but I just kept crying when I talked. I wanted out of there. I wanted to get to Hannah as fast as I could. Telling Hannah was the most fun. As soon as I got to Anna's house, (Anna and family are our close friends who, are also, our daycare), and raced in to find Hannah. I told her I had big news. We got the results from the test on Friday, the one that made her back hurt, the one that would show if the cancer was all gone. I said, "You did it baby, you beat cancer. It is all gone. No, more cancer in your body!" Hannah jumped up, arms above her head and screamed! From behind us, in the other room, all of the other kids, Andrew, Aaron, Maddie, Taylor, Katie, Megan, and Gracie, who were all listening in, all screamed and jumped around! It was a cool echo of happy yells and shouts. Everyone was hugging and congratulating Hannah. This is what it looked like when I told her! I am SO proud of her and excited and overwhelmed and in shock. My head is still spinning. Hannah's last day of chemo will be August 2nd. After that we can book the surgery to have her port- a-cath removed from her chest wall. She will be a normal girl, who isn't nauseous all the time, doesn't have to take chemo, and can play soccer! Soccer has to wait till the port is out, but she wants signed up as soon as she can. Thank you all so much for being a wonderful support to us through this. I love all of you and don't know how I would have managed without you. Thank you!!! CJ Buswell, is a guy I have known for years now. He works for one of my customers and is the nicest guy you could meet. Every time I would see him, he would ask how Hannah was doing. He has a daughter near to her age. I remember hearing that he and his wife were having another baby. I was so excited for them. Just 12 weeks ago they had a beautiful baby boy named, Casen. They knew right away something was wrong. Their gorgeous baby had a cluster of very obvious blood vessels around his chest. After months of agonizing trips to Children's with very puzzled doctors, they found out why. Casen suffers from a rare condition known as Plaque Type Glomuvenous Malformations, which is caused by a missing gene. He is only one of 14 people in the world to have it. Doctors here don't even know how to treat it. There is a doctor in Belgium with some experience and they are hoping to get there. I am posting a link to a fund raising web site. It also has updates on how Casen is doing, as well as a better explanation of his condition. CJ and his wife Jenna are wonderful people. If you can help, please do. It is now May, and we are still struggling with blood counts (ANC) that are too high. Hannah has been running about 2000 too high for several months. Her doctors keep increasing her chemo amounts trying to bring that number back down. Last month, Hannah had a bit of a break through, in that her ANC came down 1000, but with still a 1000 to go. For us, that was great news because it meant we didn't need to increase her chemo again. She is already on over 100 % dosing for all her different chemo medications. She suffers so much with the nausea. I just couldn't imagine giving her even more. At Children's, waiting for labs. We also, got some good news in April about her liver. We found out in March, that her liver was starting to under perform. Hannah's lab work showed a liver function number that was much higher than it should be. Liver issues make giving chemo difficult. We need that to kill the cancer! So, I was worried. However, at her check up in April, her liver function numbers had gone back down to normal. Definite improvement! Her next check is June, 1st. I am very hopeful that the downward trend of counts, continues! Today, April, 8th marks the day I found out Hannah has cancer. This could easily be a very sad day. Infact, the day before it, April 7th, is the real day, I found out. Only because that is the day I took her to the ER. Nothing has ever been the same. They told me in the night, technically, the 8th, that she had blasts (Leukemia cells) in her blood sample. I can feel the 7th coming. I will look at the calender for something routine and see April 7th, staring at me. That day is hard. Hannah sledding this Spring Break. Always living life to the fullest! April 8th, however, is the day the fight began. We celebrate that day. Our Hannah Grage, has been kicking cancer's behind for two years today!!! Her opponent is viscous, tricky, and smart. Hannah is ten million times better. Today, we toast to our own hero. I couldn't even begin to tell you what I have watched her endure and I wouldn't want to. She is tough as nails and I am so, so proud of her. 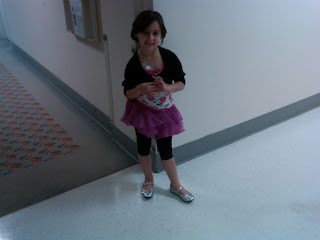 Earlier in the day, her dad had a fantastic party for her, with her Nana and Opa there. They had cake and presents, all the things a celebration needs. Tonight, Rian and I took her and the crew along with our dear friends Anna, Aiden, and kids to her favorite restaurant to party it up. She got her presents and strawberry margarita (virgin, of course!). It was a blast. I have some news about her counts that will wait until tomorrow. Today, we are concentrating on the awesomeness that is our baby girl. Those Disney pictures took a really long time to download. After four months, they are finally in and I can update the blog. Soo, how has everyone been? Hee hee. Just kidding. Our lives have been a bit hectic since coming home from DisneyWorld. I had foot surgery when we got back and was on crutches for around a month. The very day I got off crutches a piece of my hot water pipe broke and flooded my house. We moved back into our house February 12th. However, those pictures have been like a procrastination road block to updating Hannah's blog for me! Mainly, because my upload speed makes snails look like they are moving at a breakneck pace. Also, because there is so much to tell you all about the trip. The time to do it justice just couldn't be found. So, I'm not. I am going to update the blog with the here and now. The Make A Wish trip details will have to arrive to the blog randomly as time allows. On to the here and now. First things first. Doesn't her hair look great?? It is back to her original hair color and growing in thick and pretty. Not fast enough for her, of course. She constantly wants me to try and french braid her hair. Yep. At that length. She is agitated quite quickly at easily given responses like "Oh, baby it is still too short for that", so, I try. 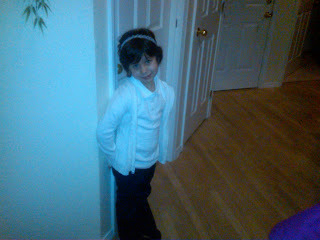 We give up usually after mere moments of trying and instead go for small clips or headbands. For whatever her reasons, she feels better if we attempt it. School for Hannah is going impressively well. She got student of the month in January!! She got to except her award in front of the an all school assembly. I am SO proud of her. She had suffered some damage as a result of the chemo. Initially, when kindergarten started, she didn't know her alphabet, couldn't write her name, didn't know her numbers, and got Parkinson's like shakes when trying to cut a circle out with scissors. Now, she is writing her name and many other things. She loves to write real words and always wants to know how something is spelled. She is reading small books, is great with math, and can cut paper into a myriad of shapes without a single shake. Infact, I do believe she is the main culprit in my constantly missing printer paper. We are still in the thick of the cancer fight. She has been having some ups and downs with her ANC counts. At this stage of the game, they like to see her counts steady, between 750 and 1500. For both November and December her counts were between 4,000 and 5,000. We upped her chemo doses. Some of them to at or a bit above 100%. That's high. In January, her counts came back down, around 1200. It was a short lived sigh of relief as February had her counts at over 4,000 again. We upped her chemo. We go Friday to Children's for a back poke, (chemo in her spinal column) and to check her counts. I'm not sure what the bouncing counts are from, exactly. They are worrisome altogether and attempting to steal the peace I had gained. I am trying to remember we are in this for the long, bumpy road. Crazy counts might just be one of the bumps! Whatever may come, God has a plan and I have to trust. We Are Back From DisneyWorld! I have so many photos and stories that I can't wait to share. We have 129 photos coming from Disney, but it takes two days. Some of those are amazing. 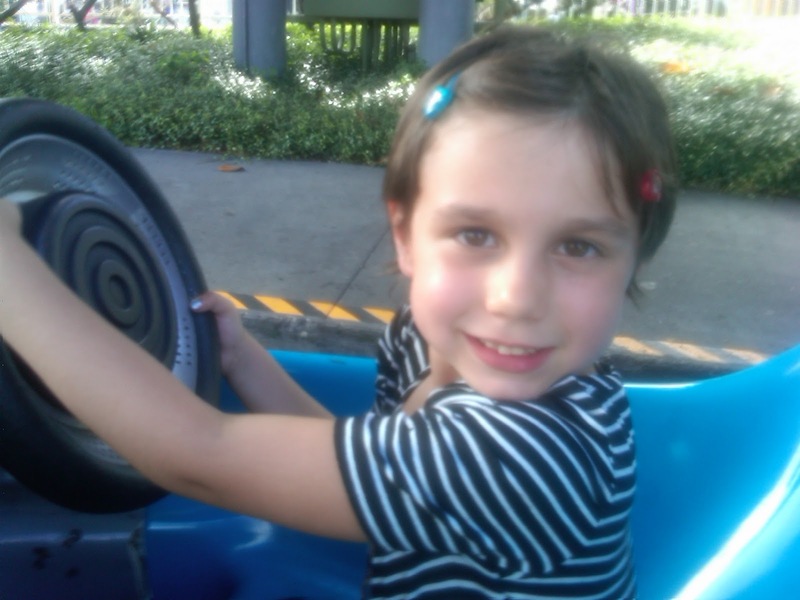 This is Hannah driving her own car in Tomorrow Land. She was so cute! She kept saying "My car; I'm driving!" I have two amazing, handsome, sweet, funny boys, Andrew, 13 and Aaron, 8 years old. 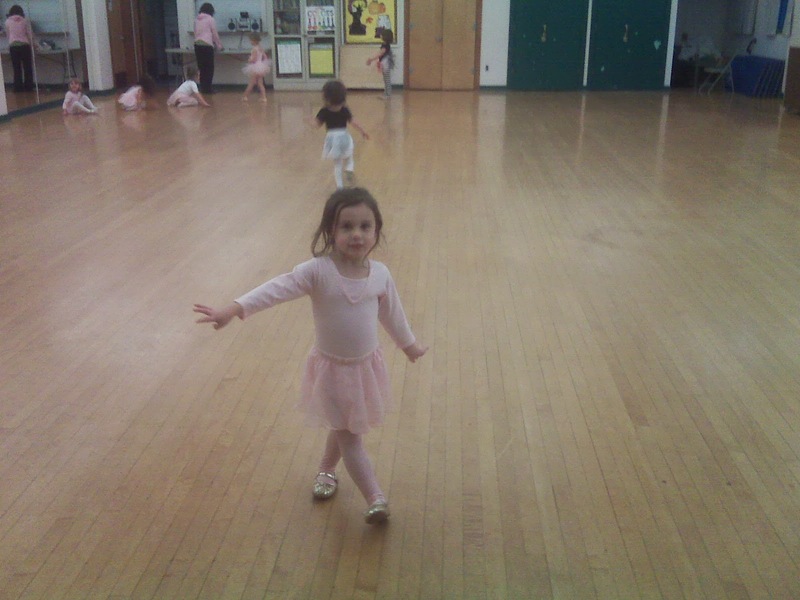 After years of thinking I would never know what ballet lessons were like, I also had Hannah. She is four years old. My three kids are all I could ask for and more. In January, Hannah had pneumonia. She never seemed like herself after that. She had random fevers, she was tired often, and her coloring was off. I kept taking her to the doctor thinking she had a virus or something but it never got all the way better. The people at her preschool were also noticing these symptoms. The director of her preschool, Deb, had even called me, thinking maybe she had mono. The doctors thought maybe it was a sinus infection and put her on medicine. On April 7th, 2010 she had a tummy ache at school, when I came to get her, she seemed ok. As I was reading her bedtime story that night I noticed her stomach looked VERY distended. I thought, in all my thirteen years of parenting, I had not seen that before. I called her doctor and the nurse asked me how quickly I could be at Children's. Rian stayed with the boys and I left the house still not convinced I wasn't over reacting to some possible gas. I should have known something was not right at the ER, because everyone was being really, really nice to Hannah and I. After they drew some blood the doctor came in and told Hannah that a nurse would stay with her so that Mommy could get her some juice. I walked out of the room really thinking I was being led to where the juice boxes were! They took me into another room where the doctor turned to me and said, "We are going to do a test, the results will be back in an hour, but we think your daughter has Leukemia. We believe she has cancer." I was busy dismissing her in my head as the over reacting one while she listed the symptoms Hannah displayed that made her suspect it. Her stomach was distended and not because of gas. Her liver and spleen were enlarged. Her frequent fevers and fatigue. My brain kicked in at this point, so I protested, suggesting that mono, could also be the cause of enlarged organs, fatigue, and fever. She agreed but firmly stated she thought it was Leukemia. I went back to our room, no juice, refusing to except any of that. Every time I thought, what if they come in and tell me it's cancer, I immediatly put it out of my head. I was sure it was going to be mono. After the longest hour ever went by, Hannah had fallen asleep on my lap and the doctor came back in. She said she was afraid she had bad news. They rest of that night has blurred into the rush of trying to process the wall of information they give you and surpress the "I'm going to go crazy right here" emotion that was filling my head. 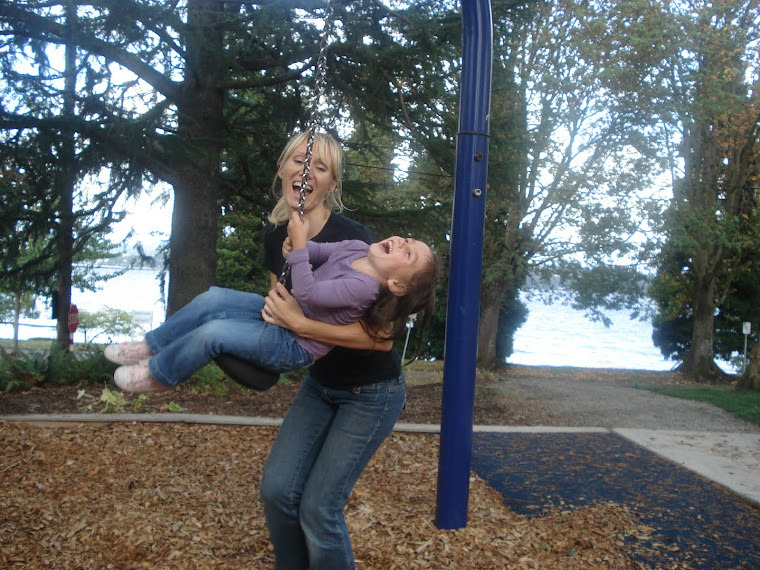 I was determined not to be the mom that fell apart. I just wanted to learn so I could help. My best friend, Mackenzie, at nine months pregnant, thank you very much, came to the hospital at 3 am with only the words, Hannah has Leukemia. Together, we walked Hannah into her new world called, the 3rd Floor Cancer Unit at Children's Hospital. Walking in past that sign and knowing that was where they were taking my sweet baby girl was one of the single worst moments of my life. I almost lost it, except, Abby, our fellow(thats an important Dr. title) was standing there waiting for us. I had stubbornly, already promised myself I wasn't going to be breaking down in front of the people that I am now depending on to save Hannah's life. The next few days were full of horrific tests and information. When they came back with the spinal tap results that showed the type of Leukemia she had, I did finally lose it. She has Leukemia ALL, which is the one with the highest cure rate. So, it was good news. I don't know why, but to me it meant that she really did have cancer. I went into the hall, sat on the floor, and cried my eyes out. I just couldn't stop. I had been feeling like if we just left, if I picked up Hannah and ran, then none of this would be real. What I found out, was that we are going to be ok, that there are funny, dear moments even when going through crappy chemo, and that we have a whole LOT of wonderful people in our lives. I thank God everyday for all of you and every precious moment I have on this earth with my family.